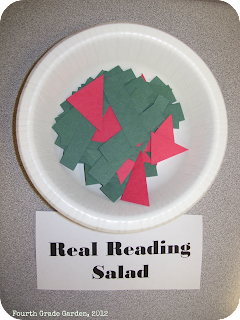 Today we made a real reading salad. Before we put on our chef hats, I started out by reading a challenging passage to my students fluently. I asked students what they noticed about my reading. They complimented my appropriate pacing and intonation. They complimented my ability to decode tricky words and to not sound like a "robot." Then I let students in on a little secret. I told them that although I read fluently, I really had no idea what I read about. I didn't know what any of the words meant and if they were to ask me a question about the passage, I probably wouldn't be able to answer it. Students glared at me in awe and we started our discussion on the importance of thinking as we read and pausing if what we read does not make sense. 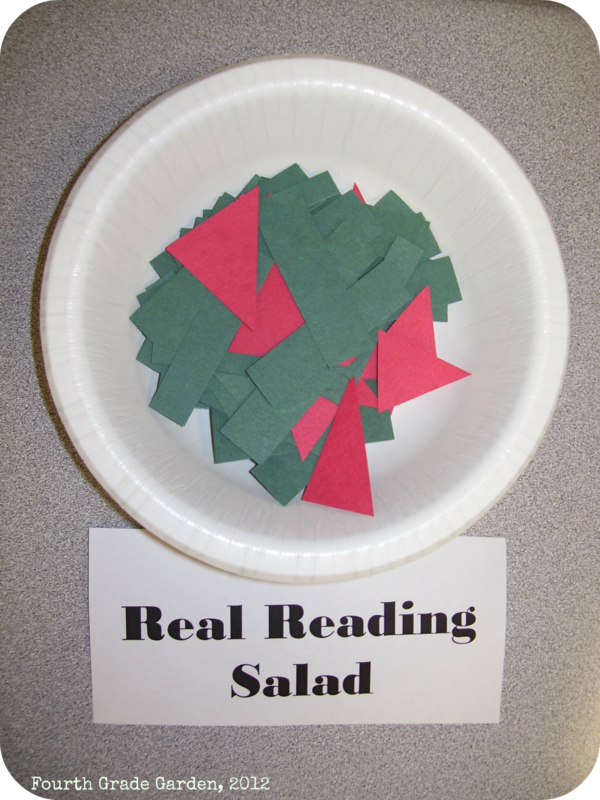 Then I introduced the ingredients for our real reading salad. We started out with some lettuce (to symbolize reading) and tomatoes (to symbolize thinking). I selected a volunteer to put on the big chef hat. 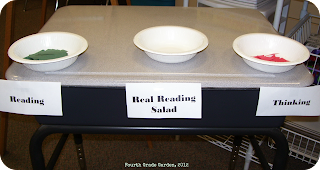 While I read our story for the day I had the student add green lettuce to the salad bowl when I was reading and red tomatoes when I was sharing my thinking. We used little pieces of red and green construction paper for convenience. At the end we had created a real reading salad, a great symbol for the importance of thinking while we really read. I told students that in fourth grade, we need to be really reading and always thinking. 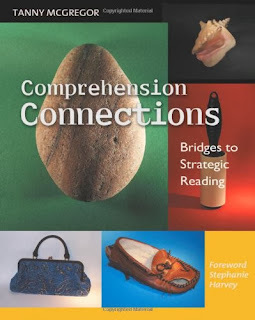 For more information on making a real reading salad with your class, or for more great comprehension connections, check out Tanny McGregor's book: Comprehension Connections.